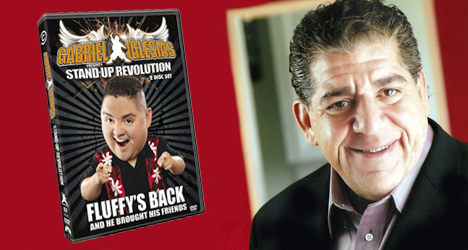 Comedian Joey Diaz is featured on the comedy DVD "Gabriel Iglesias Stand-Up Revolution." The world was a much different place seven years ago for stand-up comedian Joey “CoCo” Diaz. Back then, he was landing small roles in big studio movies like “Taxi” with Jimmy Fallon and “The Longest Yard” with Adam Sandler. Not only that, the Cuban-American funny man was 100 lbs. heavier and far from the social-media butterfly he is today. 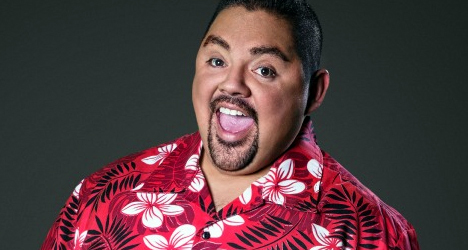 Currently, Diaz can be seen on the comedy DVD “Gabriel Iglesias Presents Stand-Up Revolution,” featuring performances from stand-up comedians including Gabriel “Fluffy” Iglesias, Martin Moreno, and Rick Gutierrez. The last time I interviewed you was in 2005 for your role in the remake of “The Longest Yard” with Adam Sandler and Chris Rock. What has change since then? How did that affect your life as a stand-up comedian? Well, I really started looking hard at my stand-up. I was sick and tired of doing dirty jokes, so I decided I would tell more stories on stage about my personal life. Now, my stand-up is more real. 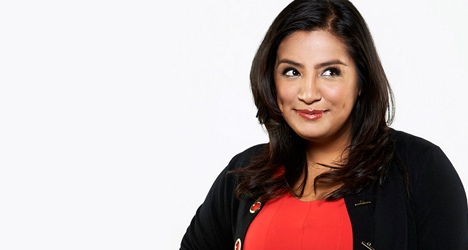 Are you more focused on your stand-up career now than on landing another role in a big movie? 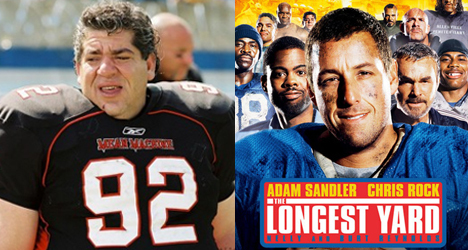 When I did “The Longest Yard” I thought doing movies and TV was everything. I don’t look at it like that no more. It’s not an experience that is going to change my life. I like what I’m doing now with my stand-up and podcast. Before, people would see my stand-up and they’d be like, “Oh, he comes out in that Adam Sandler movie.” Now, I have people who know me from my podcast and for [comedian] Joe Rogan’s podcast, which is the No. 1 podcast in the country on iTunes. Do you feel podcasting has kind of redefined who you are as a comedian? Yeah, because I get to be me. It does more for my career than a stupid television show on NBC would. On NBC I gotta play Max the Bookie or Max the Fireman. On the podcasts, I get to talk about the stuff I really feel in my heart. You’ve been in this business for a long time. Could you imagine what all this technology could have done for your industry 20 years ago? Yeah, instead of Richard Pryor going home and doing coke, he would’ve been going home and getting on Twitter. 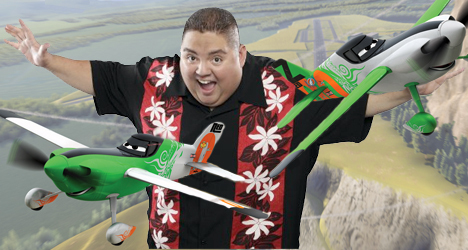 Tell me more about your role in “Gabriel Iglesias Presents Stand-Up Revolution.” Do we see the new and improved Joey Diaz in this? Yeah, it used to be when I would get tapped to do these types of things I would never really get fired up, but I did for this one. I got to hang out with Gabriel. I put a suit on for this one. I was able to tell more stories. I’m just happy that someone thought about me and knew I was still here rocking the house. When you get together with a group of comedians like this, what’s the ambiance like? Are you all constantly making each other laugh? Do you size each other up? It depends on which comedians. But a lot of these comedians [on “Revolution”] are my friends. I’ve known them since Day One. I did a show with Martin Moreno 13 years ago where he got off the stage at a bar and beat someone up and then went back on stage to bring up the next comic. I’ve known Gabriel since we took a plane to Tucson, Arizona for $150 and we both fell asleep and he lost his virginity. I know these guys!